Let's not forget the babies!! 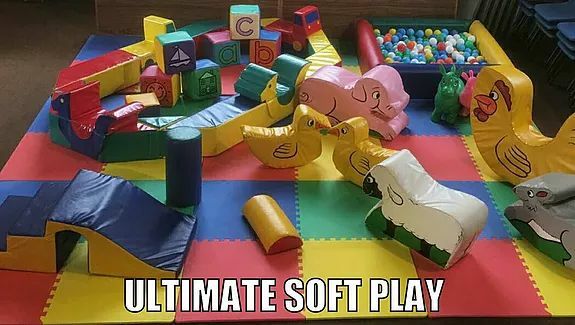 Ultimate soft play set up offers the ultimate play for your little ones special day or can compliment any of our products to suit all ages. Soft stairs and slide, rocking animals, soft blocks and soft ball pit. Build, climb an explore!